There are many ways to market your business online, we all know that. But, which ones prove to be the most effective, efficient, and budget-friendly? While many marketers could argue all day about which tactics work best for your money, sometimes it just means reading an article online. In particular, what is more effective: business blogging services or traditional outbound marketing? Personally, we sway more with business blogging. Here's why. Small business blogging is just as essential as a big company's blog, especially because most of advertising and marketing is going through a huge shift and turning toward an all-online platform. While traditional advertising is still effective for small business, it doesn't hurt to ramp up your online efforts and extend the reach of your customer base. In fact, there are several affordable and powerful ways to optimize your online content--blog included--to help you boost your small business. Perhaps you have already used some of those tactics, like Search Engine Optimization (SEO) for your blog. If so, you're on the right track! But, you also have to make sure you don't fall into the trap of over optimization on your blog. As a business owner, no doubt you have spent countless hours brainstorming ideas, designing and perfecting products, and developing an outstanding staff. Certainly you want to see your business flourish and stand out from the rest. That is where creative and consistent blog writing comes in. Publishing content for your business is a necessity for growth. But, which is more effective - outsourcing blog writing or doing it yourself? 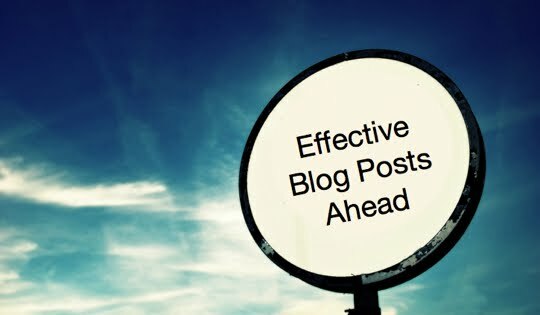 There are some necessary factors needed in order to create and maintain a successful blog, while also adding growth to a business. However, deciding who should be responsible for this task can be rather difficult. By comparing the options, the decision may be easier to make. Creating blog content requires a great deal of time, especially if you want it to stand out. As a business owner, chances are that you are bogged down with more responsibilities than you know what to do with. Then, somewhere in the midst of your hectic schedule, you have to sit down on a regular basis and write blog content. To capture a new audience and to maintain your existing consumers, your blog must have new posts added on a consistent basis. But, with so many things on your plate, how do you do this? Delegating your content writing will allow you to focus on other priorities and leave the sitting and writing to someone else. 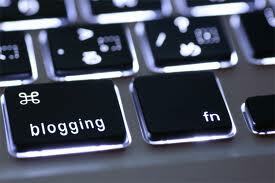 A company who specializes in outsourcing blog writing does just that - they specialize in it. Therefore, the sole purpose of their job is to write. They have no other duties, so their full concentration revolves around their writing. With more time and less distractions, the content will be written with accuracy and will not have a 'rushed' feel to those who read it. 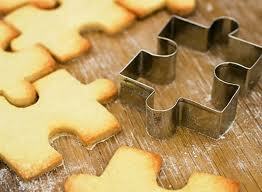 Furthermore, they can publish new content consistently without having to manage additional responsibilities. Consumers, both new and previously established, look for new content. When a page is stagnant they will generally go elsewhere for their needs. However, a page that is constantly being updated with creative and engaging content will keep consumers interested and coming back. Written content directly represents your company and therefore you need it to be high quality work. You may be an excellent writer and may have been writing your own blogs for years. Although you may be a skilled writer, there may be someone else whose experience was founded on content writing. They understand the importance of SEO, blog structure, and content detail. Outsource writers are committed to writing quality content, to deliver steady traffic to your site. 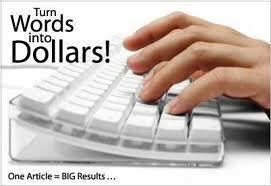 They write with SEO in mind, in order for search engines to quickly locate you. Once readers are on your page, the writers will provide them with the information they need. Better yet, their specific writing style can be chosen by you. Whether you want them to be serious and straight to the point or if you prefer them to use a tone of humor and excitement, they are there to deliver. Most likely no one knows the services and products as well as you do, so it's natural to feel that you are the most suited person to write about your company. However, to gain the interest of consumers, blog content must be new, exciting and creative. But, much like a piece of furniture sitting in the room, after a while of looking at your products, they may become very familiar to you. Knowledge and understanding is good, whereas over-familiarity may not be. This could cause your blog content to sound dull and repetitive after a while. Outsourcing blog writing allows the content to be written by people who are new to your company. They will have the interest and excitement that only comes when first introduced to a new product or service. The content they write will then mirror this feeling. It will be fresh, appealing and informative, which is what consumers look for. If that's not enough to convince you, the 2012 Search Engine Journal said that companies that maintain blog content have 434% more indexed pages. These pages lead to more SEO leads and costs 61 percent less than leads gained from cold calling. 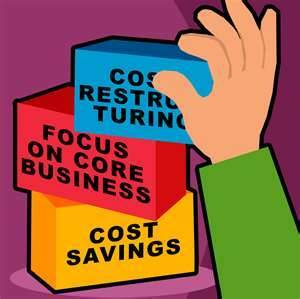 Therefore, with outsourcing you will get substantially more leads and you will save money. By outsourcing blog writing, you can take a load off and watch your business take off. Is there anything holding you back from outsourcing? Fundamentally, the only hard part about content marketing is getting the content. Inbound marketing can be a great tool for small and medium businesses to make themselves known on the Internet. After all, the theory is simple: if you produce good content writing for your website, people will come to you to read it. Thousands of businesses around the world make use of it and, according to a recent HubSpot study, 81% of those who do inbound marketing believes it's a success for their business. The trick, of course, is actually providing the content. Some companies do it all themselves, but increasing numbers of businesses are turning to a article writing service to write their content for them. These services allow you to place orders for the content you want, and receive it within a matter of days. You can often get your article in just twenty-four hours! I believe one reason many companies balk at the idea of hiring out their blog writing is that they are too personally attached to their blogs. The plain fact is, it's just another marketing venue. Sure, it's a bit more personalized and less overtly an advertisement, but fundamentally, it's still ad copy. You don't write and design your own advertisements, do you? Probably not, if you have any resources to hire it out. We accept that marketing is a specialized skill that should be left in the hands of people who understand it, and fundamentally, content marketing is just an extension of that same idea. You let someone else do your blog writing for the same reason that someone else writes your magazine ad copy. While we're on the subject, make no mistake: writing is a specialized trade. It's easy to take it for granted, since we live in a literate world and we all do some writing in the course of our jobs. However, writing as a profession takes years of practice and dedication. 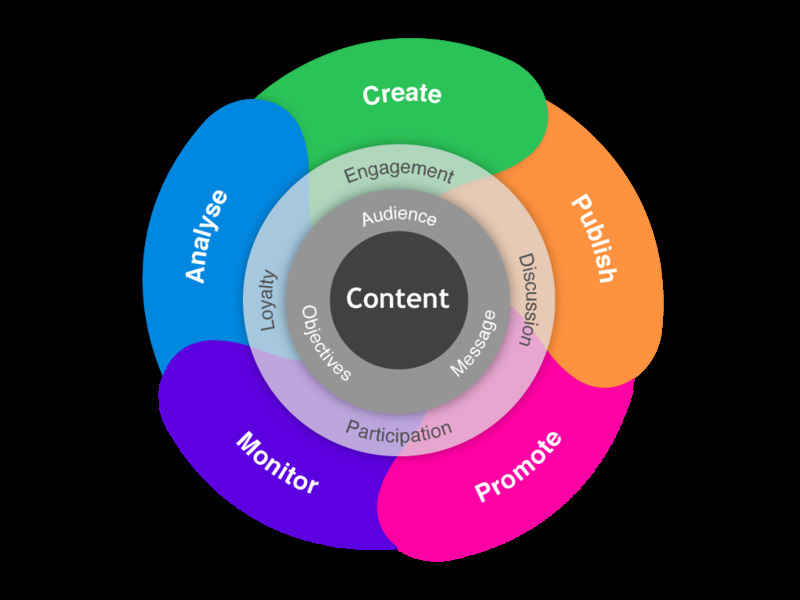 Content writing, specifically, requires a high-level combination of skills including composition, research, and marketing knowledge. A professional content writer knows nearly as much about inbound marketing as your SEO guys, on top of the other work he's doing. This isn't something everyone can do. Unless you've got a budding Gossage somewhere in your organization itching for the chance to show his stuff, chances are, you're not going to have many people who are able to do it. This is an area where it's best to leave it to the professionals. Another reason that article writing services are a good choice for businesses looking into content marketing is that there's less random chance involved. You have your selection of dozens, or even hundreds, of qualified writers. When you send out an assignment, you don't pay for it until you're satisfied with it. You can send it back for rewrites, or even cancel it if the writer fails to deliver what's promised. It's a safe and easy way to get the content you need, often at bargain-basement prices. Typical rates are generally well less than 5 cents per word! Here's the thing. You have a business to run. So do your employees. Your area of expertise is going to be your business, not blogging. Why spend time and effort that could be spent on your business itself, doing writing for your website instead? If you could utilize an article writing service and get the copy for less than it would cost you to hire someone to do it permanently, that would seem the most effective way of getting the content you need. And to round things off, the nitty gritty: According to a recent study, eighty-seven percent of businesses doing content marketing are planning to outsource content writing in 2012. Chances are, your competitors are already using these services to improve their content and make themselves more accessible to new readers. Use of article writing services is nearly ubiquitous today. Finally, if you've had any particularly good experiences using article writing services, we'd love to hear about it. There are a lot of websites out there, and it would help anyone reading this to know what the best ones are. Got any opinions? You're a business owner and hear about article writing and don't know what all the fuss is about, right? You have way too much on your plate to fit another 5 hours a week to write about your business, what is hot, what is not, what your clients want to know about, what deals are out there, what to be aware of, what are the comparisons of the service or product of your companies vs. the competitors, or that 57% of businesses (see more useful business stats) have acquired a customer through their business blog. Get the point? If your business isn't blogging, it probably should be. At this point, companies that aren't blog writing are in the minority. 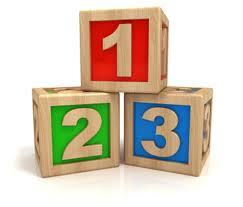 According to a recent HubSpot survey, 62% of businesses plan to blog in 2012. Further, among those who do, 69% believe them to have increased their sales leads. In fact, according to HubSpot, small businesses blog writing will see, on average, a 55% increase in website visits, 102% more Twitter followers, and 126% better lead growth. So, your business has a website. Congratulations! Is anyone actually reading it? A vague, cookie-cutter website that doesn’t actually say anything will do little more than annoy your potential clients. Fresh, informative content writing, in the form of blogging, is a vital component to your web page. A solid blog will keep you at the top of search engines, and draw potential clients to you. Nowadays, online search engines are the most frequent source people turn to for accessing information. We type in a few words that are related to what we want to find, and hope for the best. To be one of those lucky companies that pops up first on Google, you need to become a mind reader. What key words will your potential customers search for when trying to find the services you can offer them? Know your customer, and make sure your blog content contains those key words they are looking for. The more your content matches up with what your clients need, the easier it will be for them to find you on search engines. Nobody surfing online wants to read a novel to find what they are looking for. Your website’s content writing should be clear and concise. If people have to read through a bunch of meaningless fluff to get to the point, your point will never reach anyone. Your page’s visitors are looking for quick help and useful information. Your blogs should be informative and easy to understand. Stick to one clear topic, and don’t lose your readers to a bunch of technical mumbo jumbo. In a world that seems to have become completely A.D.H.D, it’s hard to keep anyone’s attention. Sifting through the same, bland websites gets really old really fast. Don’t let your website’s content writing melt into the vanilla ice cream that is corporate blogging. Engage your readers and stand out from the competition. You can make your point and still crack a few jokes or make some interesting observations. Be informative, but break it up now and then with something different to keep your readers reading. 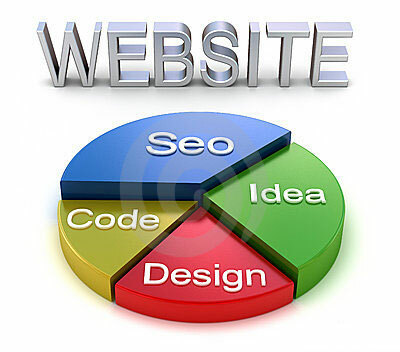 There is no point in paying to operate a website if it isn’t reaching anyone. Good content writing will both capture and hold the attention of search engines and potential clients. Staying current with your blog will keep you at the top of customers searches and keep your readers coming back for more. How often do you update your blog’s content? In what ways do you engage your readers?